Learning Express is now hiring for Full and Part time Team Leader positions, with immediate openings in our newest Falls Pointe location off Falls of Neuse Rd in North Raleigh. 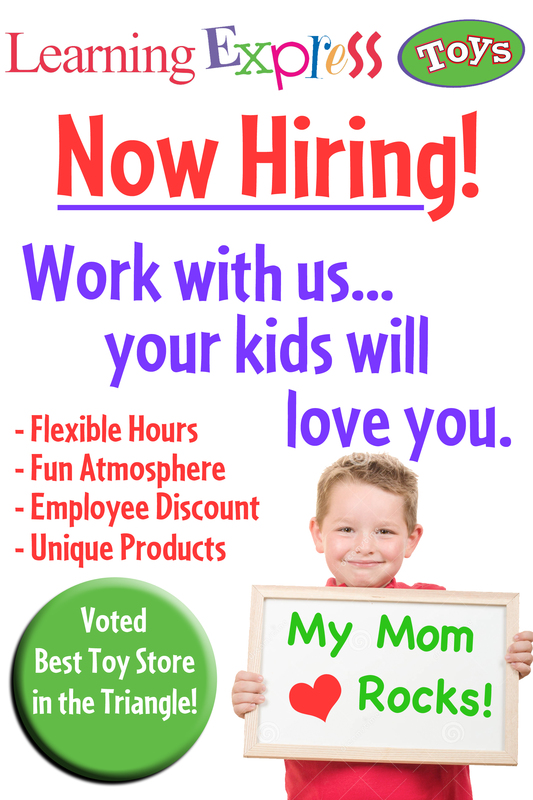 Let’s be real, who doesn’t want to work in a toy store? We are flexible with any type of schedule whether you’re looking for part time or full time. If you just want a few hours a week to make a little money for the holidays, that great. If you’re looking for a career with one of the best small businesses in the triangle, bring it on. It’s an excellent opportunity for stay at home moms and college students. Are you the right person? Print off the application below and bring it in to any of our 4 triangle locations. We look forward to working with you!